Maidhc Ó Cathail is a widely published Irish author and journalist. He has been living in Japan since 1999. Ó Cathail’s articles and commentaries have appeared on a number of media outlets and newspapers including Antiwar.com, Arab News, Foreign Policy Journal, Khaleej Times, Information Clearing House, Palestine Chronicle, Tehran Times and the Washington Report on Middle East Affairs. Maidhc joined me in an exclusive interview and responded to my questions about the 9/11 attacks, the influence of the Israeli lobby over the U.S. administration, the prospect of the Israeli–Palestinian conflict, the prolonged controversy over Iran’s nuclear program, and the freedom of press in the United States. Kourosh Ziabari: The Iranian President’s recent proposal for the establishment of a fact-finding group to probe into the 9/11 attacks stirred up widespread controversy in the United States. American politicians reacted to Mr. Ahmadinejad’s plan with frustration. Is it because they are aware of some evidence which suggests that Israel was behind the attacks? Maidhc Ó Cathail: I would say that most American politicians are totally unaware of the Israeli “art students,” the so-called “dancing Israelis,” the Odigo warnings and other facts that point to Israeli involvement in the 9/11 attacks. Therefore, they probably considered Ahmadinejad’s questioning of the official 9/11 narrative to be yet another unwarranted provocation of the United States by the Iranian leader. While it is all very easy for the news media, sundry interest groups, and government functionaries throughout the world to dismiss Dr Ahmadinejad as a Mad Mullah beyond the ken of rational debate, perhaps that is because Iran’s president poses questions that are too near the mark to allow a sensible hearing. As if it weren’t enough being the leader of a large Islamic nation that does not kowtow to the USA and to Israel, Dr Ahmadinejad put himself beyond redemption for eternity by suggesting that “holocaust revisionism” should be subjected to the same standards of scholarly scrutiny as any other historical matter, and like the Left-wing Jewish academic Prof. Norman G Finkelstein, suggested that the holocaust was being exploited for political and economic motives. Being Jewish, Left-wing and the son of parents who had survived both the Warsaw Ghetto and Nazi concentration camps, didn’t save Finkelstein from the Zionist smear-brigade, so Dr Ahmadinejad is not about to be cut any slack. 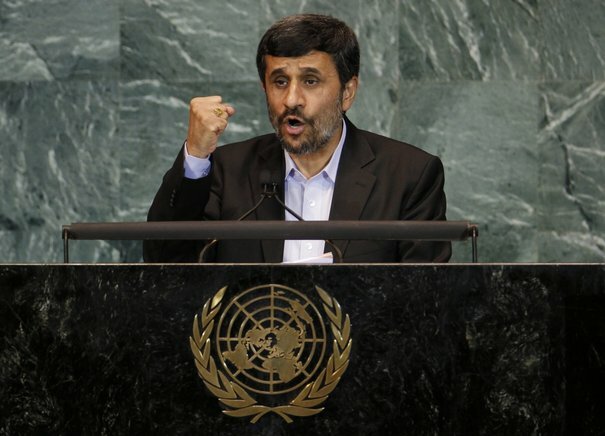 When Dr Ahmadinejad reached the UN podium on September 24, it is certain that Israel, the USA and sundry lackeys to both states, waited with baited breath to see what the president would do this time to try and expose their corrupt system before what remains of states that have any sense of national sovereignty and dignity. The reaction of the delegates from the USA, Australia, New Zealand, all 27 delegates from the EU states, Canada, and Costa Rica was to walk out en mass — the response of those who have nothing thoughtful or honest to offer. In New Zealand’s case, our state relies of moral posturing at world forums to compensate for national impotence. The drums for war on Iran have been banging louder than ever lately, with a spate of articles by political commentators either directly encouraging the bombing of the Islamic Republic or otherwise offering a narrative in which this is effectively portrayed as the only option to prevent Iran from waging a nuclear holocaust against Israel. A prominent example of the latter is Jeffrey Goldberg’s article last month in the Atlantic magazine, “The Point of No Return”. Goldberg’s lengthy piece essentially boils down to this: Iran’s pursuit of nuclear weapons poses an existential threat to Israel’s existence comparable to the Nazi Holocaust, and although the U.S. recognizes this threat, the Obama administration is weak, so Israel will have no choice but to act alone in bombing Iran to ensure its own survival. Tags:Ali Akbar Hashemi Rafsanjani, Ayatollah Ruhollah Khomeini, Benjamin Netanyahu, Gareth Porter, Goldstone report, Hezbollah, Hillary Clinton, IAEA, intelligence, Iran, Iraq, Israel, Jeffrey Goldberg, Juan Cole, Lebanon, Mahmoud Ahmadinejad, Mohammed ElBaradei, Moshe Dayan, Multimedia, Nicolas Sarkozy, Nuclear Nonproliferation, Obama administration, Operation Cast Lead, propaganda, Saddam Hussein, United Nations, WMD, Yukiya Amano, Zionism. 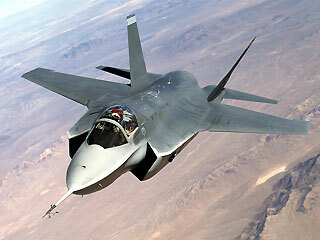 Focus U.S.A. / Will Israel really attack Iran within a year? After interviewing dozens of Israeli, American and Arab officials, Atlantic Magazine correspondent concludes Israel may not even ask for American ‘green light’ to attack Iran nuclear sites. Israel might attack Iranian nuclear sites within a year, if Iran stays the current course and the U.S. administration doesn’t succeed in persuading Israel’s leadership that U.S. President Barack Obama is ready to stop Iran by force if necessary, so argues Jeffrey Goldberg in Atlantic magazine’s September cover story, obtained by Haaretz ahead of publication. A nuclear reactor in Bushehr, Iran. Based on dozens of interviews the Atlantic correspondent conducted in recent months with Israeli, American and Arab officials, Goldberg came to the conclusion that the likelihood of an Israeli strike has crossed the 50 percent mark. And Israel might not even ask for the famous “green light” from the U.S. – or even give couple of false pre-attack alerts, so that Washington won’t try to stop the unilateral operation. WHEN I was writing one of my previous reflections, as a disaster for humanity was rapidly approaching, my greatest concern was to fulfill the elemental duty of informing our people. Today I feel calmer than 26 days ago. As things continue happening in the short term, I can reiterate and enrich information to national and international public opinion. Obama promised to attend the quarter-final game on July 2 if his country won in the second round. He must know, more than anybody, that those quarter finals could not take place if extremely grave events should happen beforehand, or at least he should know that. A complaint was filed in Belgian court against 14 Israeli leaders for war crimes and crimes against humanity. Former Prime Minister Ehud Olmert, Israeli opposition leader Tzipi Livni and Defense Minister Ehud Barak were among those charged with war crimes committed during the Gaza war in the winter of 2008-09, the French daily Le Monde reported. Former Gen. Matan Vilnai and other Israeli army leaders, politicians and intelligence officials also were included on the list. Two lawyers representing 13 family members of victims of an Israeli army bombing of a mosque near the Jabaliya refugee camp during the war said they filed their complaints Wednesday in Brussels, according to reports. Editor’s Note: The remarkably biased U.S. reporting on Iran’s election a year ago – portraying President Mahmoud Ahmadinejad’s victory as “fraudulent” despite strong evidence to the contrary – has laid the groundwork for a new Middle East conflict, much as bogus reporting on Iraq’s WMD did in 2002-03. It is almost a commonplace that the flow of information, opinion, and moral indignation in the United States adapts well to the demands of state policy. If the state is hostile to Iran, even openly trying to engage in “regime change,” and if it is supportive of the state of Israel, no matter what crimes Israel may commit, and if it doesn’t like the populist president of Honduras, Manuel Zelaya, and supports his overthrow and a follow-up “demonstration election” by the local elite, the media and many intellectuals will follow the state agenda, even if they must indulge in mental somersaults. Cuban Revolution leader Fidel Castro condemns the Draft Resolution promoted by the United States and adopted by the Security Council in New York arguing the well known pretext that Iran deserved the sanctions for its violation of the Nuclear Non-Proliferation Treaty. On Tuesday, June 8, I wrote at noon time the Reflection “On the Brink of Tragedy.” Later, I watched Randy Alonso’s TV program Roundtable, usually aired at 6:30 pm. That day, outstanding and prestigious Cuban intellectuals taking part in the program answered the pointed questions raised by the moderator with eloquent words that showed great respect for my views, but they did not think there was any reason for Iran to reject the likely decision –already known—that would be adopted by the Security Council in New York in the morning of June 9, undoubtedly concerted by the leaders of the five powers with the right of veto: the United States, France and the United Kingdom, with those of Russia and China.